Which Workflow Process Will Work Best for Your Organization? How effective is your workflow at saving your organization time? A good workflow should allow you to easily map out the progress of a project from beginning to end, helping you speed up the approval process and reduce errors that prevent your team from working efficiently. But there’s more than one type of workflow out there, and not all workflows will be best suited for your processes or the people accomplishing workflow tasks. Each type of workflow has its benefits and setbacks, as each is designed to handle tasks with varying degrees of complexities. Deciding which one will work best for your organization will come down to understanding your team’s strengths and weaknesses as well as the intricacies of the tasks themselves and how much buffer room you need for mistakes. Here is a quick breakdown of the three main types of workflows and what to look for when choosing the right one. Download this helpful resource: Which Workflow Does This Process Need? Sequential – A sequential workflow represents a series of steps performed one after another until the last activity is completed. The exact order of execution may vary, but tasks will always be sequential. This type of workflow is usually built around the same style and format as a flow chart, which ensures that there are no backward steps and that everyone is only moving forward within the business flow. State Machine – A state machine workflow represents a set of states, transitions, and actions that can be executed non-sequentially. This means that they’re not necessarily performed one after another, but are instead triggered by specific actions and states. One state is assigned as the start state, and then, based on an event, a transition is made to another state. This type of workflow is traditionally more complex but will allow people to return to a specific point if they make a mistake. For the most part, sequential workflows tend to be more common than state machine, due to the fact that they’re easier to design and maintain. Sequential workflows also tend to be faster, as progress continues forward at a set pace (usually deadline-driven) and it’s usually clear when a project or task starts and ends. Tasks that are part of a state machine workflow, on the other hand, need to be approved (meet a certain state) in order to progress forward, and if denied, may be sent backwards in the process. This means potentially more time spent bouncing tasks between people or departments for approval. This doesn’t mean sequential is always better than state machine. There are times in the process where mistakes will be made, and having the ability to send a task backwards one or two steps can be more efficient than having to start the process over. It can also be easier to add steps to the process with a state machine workflow, which makes them a great choice for organizations that don’t have set processes in place or are still experimenting with their workflows (though they can be more difficult to design from the beginning a process). So how do you know when to choose a sequential workflow or state machine? The complexity of tasks – Is it a matter of uploading a file to a server and notifying another team member, or does the task require a series of approvals before it can be finalized? The efficiency of your team – How many mistakes can you expect from your team? Are they prone to forget uploading a file or taking too long to approve a task? The timeline of the steps – Do you need things done as quickly as possible or are you more concerned with things being approved and completed in the right way? Do certain tasks need to be completed before other ones or can they be accomplished in any order? 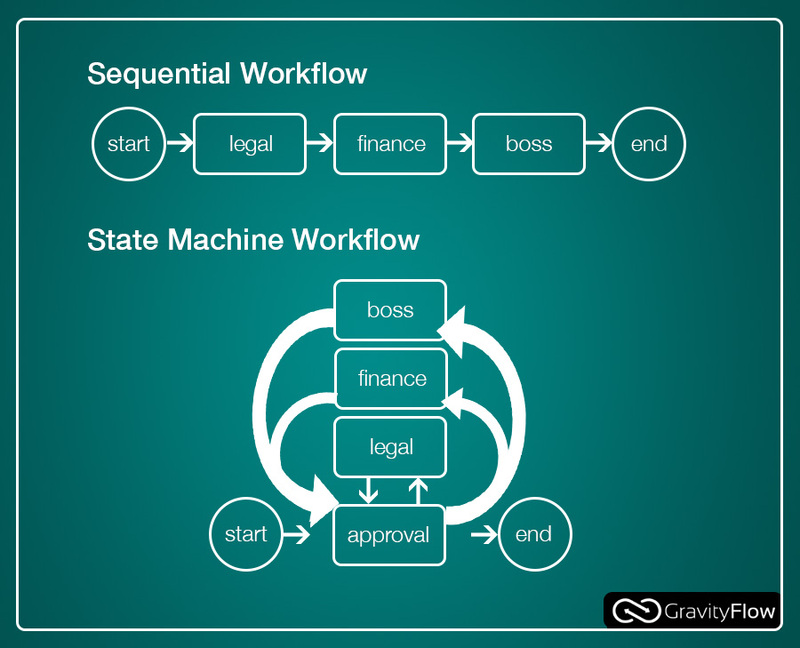 Think of sequential workflows like a connect-the-dot game, while state machine workflows are similar to a puzzle. If you need things done quickly and you don’t expect there to be many mistakes in the process, and the tasks are not too demanding (e.g. you only need to upload a file or notify another team member), a sequential workflow will move things along quickly. If, on the other hand, tasks are more complex – budgets need approval, files must be reviewed or created and sent back for review, and so on – or you expect there to be bottlenecks in the process (something didn’t get approved when it should have), a state machine workflow will allow you to add or retrace your steps, or give you more time to complete a process. You also need to consider whether or not tasks need to be accomplished in any specific order. 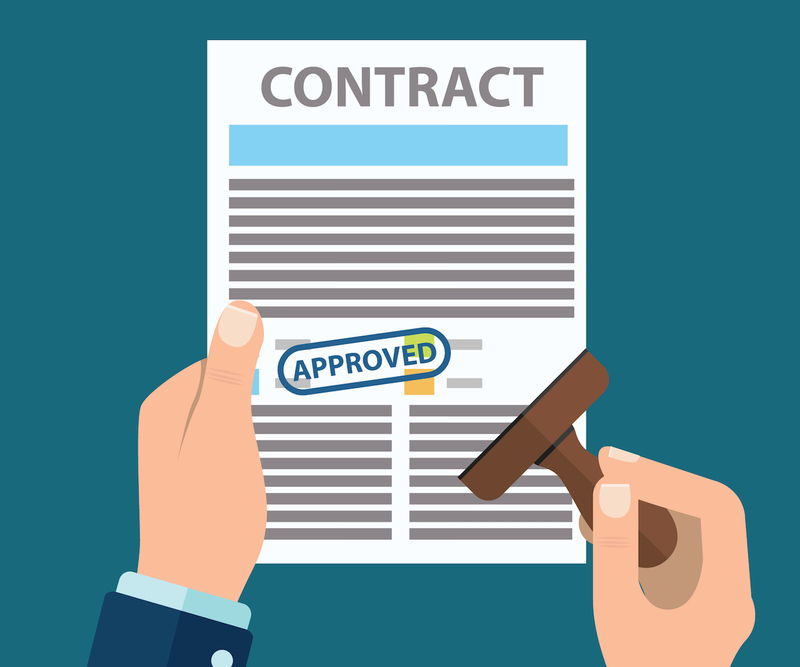 For example, if you had contract approval process that required three approvals from the legal team, finance team and upper management, could a manager approve something before the legal team sees it? If not, you may need a sequential workflow. Keep in mind that sequential workflows are easier to design from the get-go and are more predictable: you know what you’re getting when you build your workflow diagram or flowchart. That may be a good enough reason to stick to a sequential workflow. Alternatively, state machine workflows are more heavily influenced by external factors (like people), which create multiple opportunities for adjustments if you’re not quite sure about the effectiveness of your current workflow. In short: Assess your needs. Simple tasks, low risk of mistakes and a need for sequence add up to a sequential workflow most of the time, while more complicated tasks or approval processes may require an equally complex workflow to match. Get the bonus content: Quiz: Which Workflow Does This Process Need? Remember that your workflow should ultimately save you time and energy. If you have implemented a sequential workflow but you find that it doesn’t leave enough room for mistakes or bottlenecks, and you have to continually start from the beginning, you may need something more complex (or vice versa). You can also design and implement different workflows as needed, depending on your needs. If you find that certain processes simply aren’t working with your chosen method, try implementing another solution to see if that solves the problem. Keep your team in mind throughout the decision-making process, as they will be involved with the implementation of tasks and may have a say in which workflow works best for them. Quiz: Which Workflow Does This Process Need? Certain processes or events require different workflows. If you’re not sure which to choose, this quiz will help. Subscribe to download this free resource.